Our one-to-one, live online music theory lessons, for children and adults, are always tailored to meet your needs. …we always design our lessons specifically for you, so you easily reach your goals. Arrange to meet me online for a chat over Skype or Zoom, about what you need and how I can help you. Tap here! You will receive one-to-one live lessons online with either me, Tracy or one of my other qualified and experienced music teachers. We tailor make lessons to suit your needs no matter what your level is, from beginner right up to the higher ABRSM Theory levels. If you need to pass ABRSM Grade 5 quickly, try our specialist Fast Track Grade 5 Theory Lessons. After each lesson, we will email you the worksheets you need and will mark your work and email it back to you. Essential for students wanting to progress to ABRSM Grade 6 to 8 practical exams, a pass in Grade 5 Theory is needed. We run a Fast Track Grade 5 Theory Course to help students gain a pass as quickly as possible. 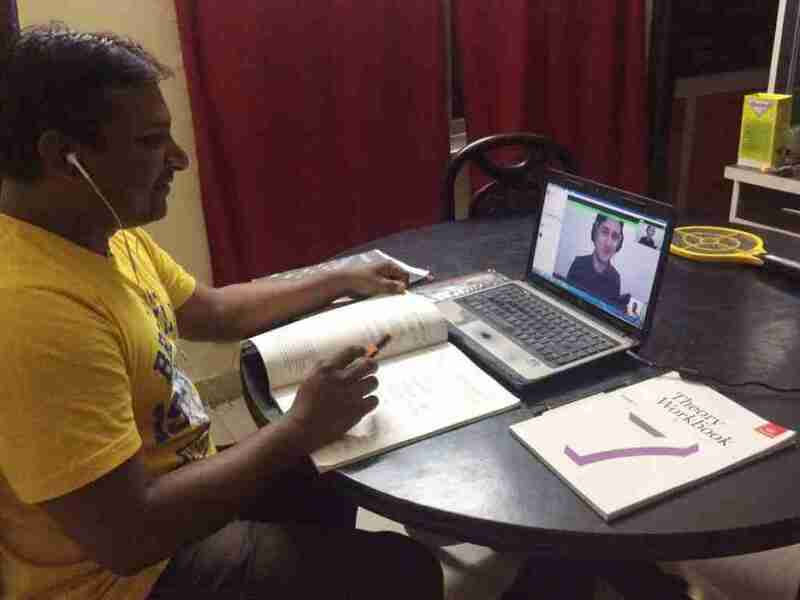 Mr Sudhakar, shown here taking an online theory lesson with Dan (on screen) has been taking online theory lessons with us since January 2016 and is now studying Grade 7 Theory. Our Theory Lessons Live Online start at £16.50 for 30 minute lessons (approx. US$22, €19, 81 SRI). Our students who take ABRSM Theory Exams have consistently gained a pass rate of a Merit (marks scored over 80%) or higher. If you wish, we can arrange to meet me online for a free, no obligation chat over Skype or Zoom! Theory Lessons Live Online can also be managed for groups of students based in one location, or you and your friend/s from anywhere in the world can meet to share the theory lessons live online. 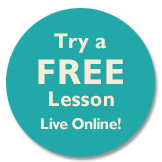 Contact Tracy for prices for Theory Lessons Live Online for two or more students.